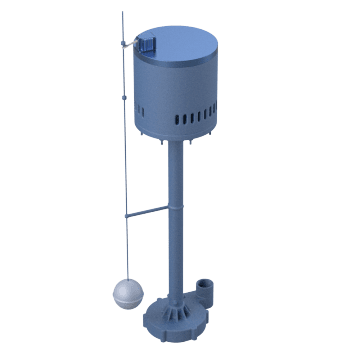 Designed for vertical use, these upright pumps have a non-submersible motor that is separate from the pump. This separation between the motor and the fluid helps extend the life of the pump motor as it isn't likely to experience water damage, and allows for more variety of fluids to be pumped. 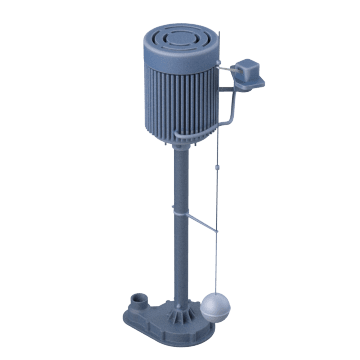 Also known as pedestal sump pumps, use these pumps in general purpose applications to evacuate water from narrow or shallow sump basins where a submersible sump pump won't fit, often found in residential basements. 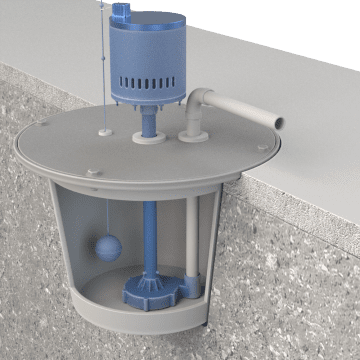 Prevent rainwater from collecting in residential sump basins with these pedestal pumps that are designed for extended operation without risk of corrosion. A float switch detects water collection and automatically activates the pump for reliable and continuous service. 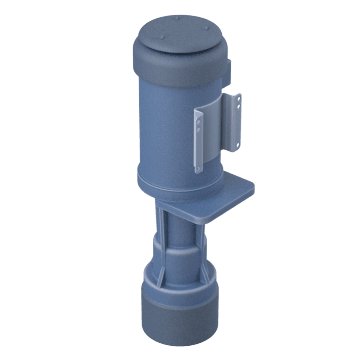 They are commonly used in residential installations when the sump pit is too narrow or shallow for a submersible sump pump. These pumps are designed to pump corrosive liquids. Constructed without bearings or seals and with no metal parts wearing together while working, these pumps prevent contamination or reactions between corrosive fluids and permit the pump to run dry without damage.